“Lirica in Piazza” takes over beautiful central square of hill-perched Massa Marittima only once a year from August 3 – 5. 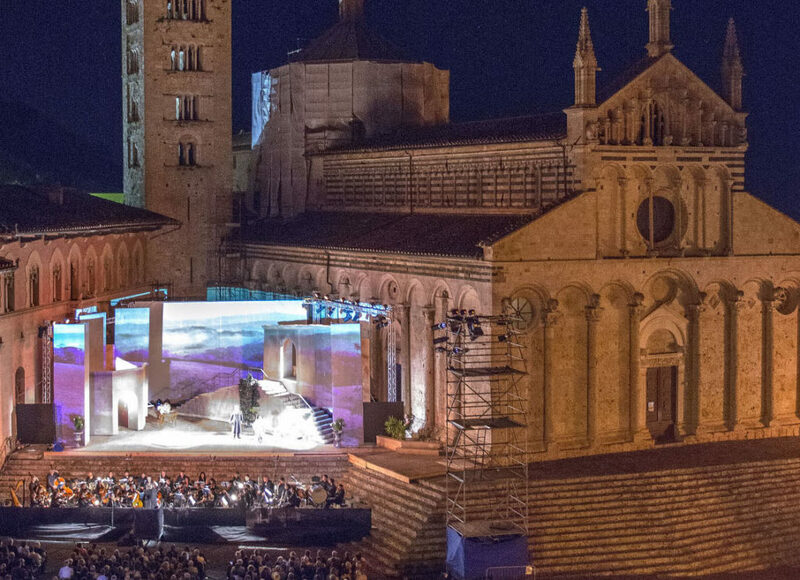 With the iconic 14th century Cathedral of San Cerbone as its backdrop, the festival presents operas by great composers in a unique setting, tapping first-rate technical and musical talents from Italy and beyond. This year, works by Verdi, Bizet, Puccini and Mascagni will color the stage, making the 33rd edition of the still-growing festival especially lyrical. Thanks to the musical support of the Europa Musica Symphonic Orchestra and the Italian Lirico Choir, rhapsodic and tragic melodies alike will float through the streets of this South Tuscan village in a not-to-miss summer treat. On August 3 the piazza will surrender to Giuseppe Verdi’s Il Trovatore (The Troubadour), a fantastical melodrama set in Spain burning with jealousy, rage, and lust. Maestro Maurizio Morgantini will lead the performance, with Antonino Interisano in the main role of Manrico and soprano Paolo di Gregorio as Leonora. The addition of modernized special effects that make use of the medieval square’s architectural features will make the strong emotions of the work even more powerful and immersive. On August 4, the famous but initially controversial Carmen animates the town. The fiery, groundbreaking comedy is also set in Spain, telling the story of a naïve soldier (Don José, played by Brazilian tenor Max Jota) who is seduced by a gypsy (Carmen, played by soprano Stefana Scolastici), depicting a level of lawlessness, vice, and death previously unseen and unheard of on the operatic stage. It is especially famous for its arias “Habanera” and the “Toreador,” which are among the most famous in the operatic repertoire. Under Gianmaria Romagnoli direction, the performance will include ambitious set pieces and special effects in tandem with Stefano Seghedoni’s conducting. 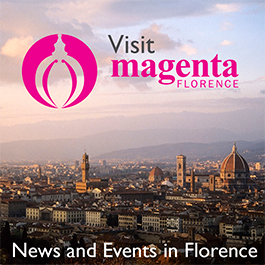 Two unique one-act works will be performed on August 5: Puccini’s Suor Angelica—a first time performance of the famous work on the stage of Massa Marittima, and Pietro Mascagni’s Cavalleria Rusticana. Puccini’s work is the middle in his trio of operatic works Il trittico, and his favorite of the three. It centers its drama on ideas of motherhood and faith in a convent. Sister Angelica will be played by Maria Tomassi. Mascagni’s tragic piece centers on love and jealousy in a Sicilian village on Easter morning. The title roles of Turiddu and Santuzza will be played by tenor Gianluca Zampieri and soprano Anna Sanachina, respectively. All shows start at 9:15 pm. For more info, see the website.